If you want to build a successful and winning NHL hockey team, a smart way to start would be the draft. You can lay the foundation of your team for years to come if you are able to hit the right players through the rounds. Granted, the draft isn’t the be all and end all, but it is vitally important. For years, the Toronto Maple Leafs were content to trade their picks away to help them secure help in the here and now.That had huge ramifications on the franchise and contributed to the lack of success in the present. Second rounder picks are very important to NHL teams as well. Let’s take a look and preview where the last four Leaf second rounders have gone and done thus far in their careers. Finn is the most recent pick of the second round on this list. The organization has high hopes for the young defender. 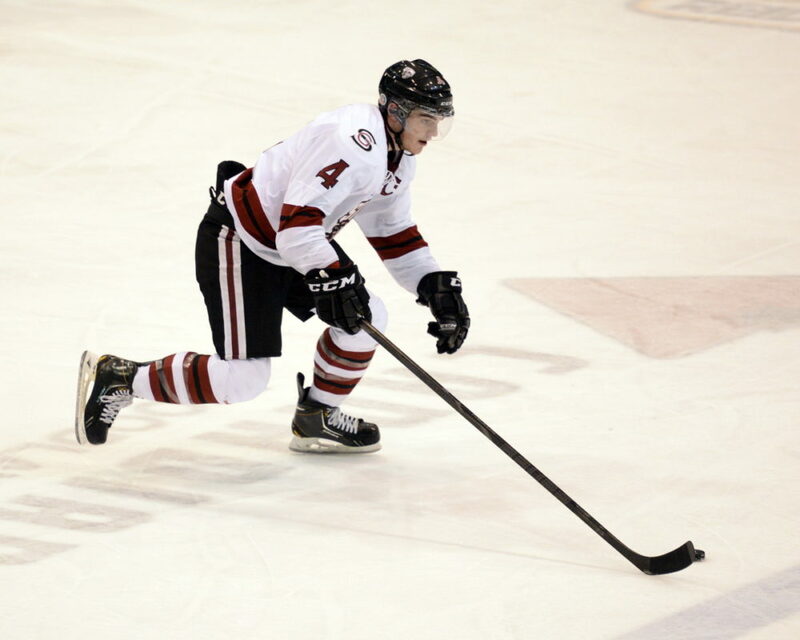 Drafted from the Guelph Storm of the Ontario Hockey League, Finn was seen as a solid threat all around the ice. He’s great in his own zone and his offensive game has slowly rounded into shape. Finn had a forgettable first season in the AHL with the Toronto Marlies. He was hampered by a preseason knee injury that saw him only dress for a total of 28 games. He also had a brief stint with the Orlando Solar Bears of the ECHL. Finn is still incredibly talented and should rebound nicely next year. The Maple Leafs had high hopes when they took the speedy winger, Ross, in the 2010 draft. Since then, he hasn’t been able to meet any of the expectations that were set in place for him. The last few years have seen him bouncing between the AHL and ECHL with limited success. Ross also hit a huge spot of trouble when he was suspended by the AHL for violating the terms of the AHL/Professional Hockey Players’ Association performance-enhancing substances program. He was given 20 games for the infraction. Ross recently signed a contract with the Germany club, Iserlohn, thus ending his tenure in the Maple Leafs organization. Both of these former draft picks are no longer with the Maple Leafs. Kenny Ryan was a defensively responsible forward who was never really able to find his stride in the AHL. At the end of the 2013-14 season, the Maple Leafs didn’t make a qualifying offer on his contract. 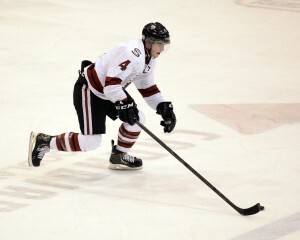 Ryan then became a free agent and accepted an invite to the Colorado Avalanche’s training camp. He was sent to their AHL affiliate and made the opening roster. Jesse Blacker was shipped off to the Anaheim Ducks in 2013 in the deal that brought Peter Holland to Toronto. The former 58th pick is a good skater that likes to jump up into the rush. He played in one game for the Ducks before being traded to the Florida Panthers in exchange for Colby Robak. He is currently a defenseman for the San Antonio Rampage. It’s pretty clear that the Maple Leafs have not had much luck with their second rounders over the last few years. Whether it is bad scouting, player development, or some other factor, the Blue and White will need to revamp their approach to drafting as soon as possible. If they don’t, the future looks bleak for the franchise.